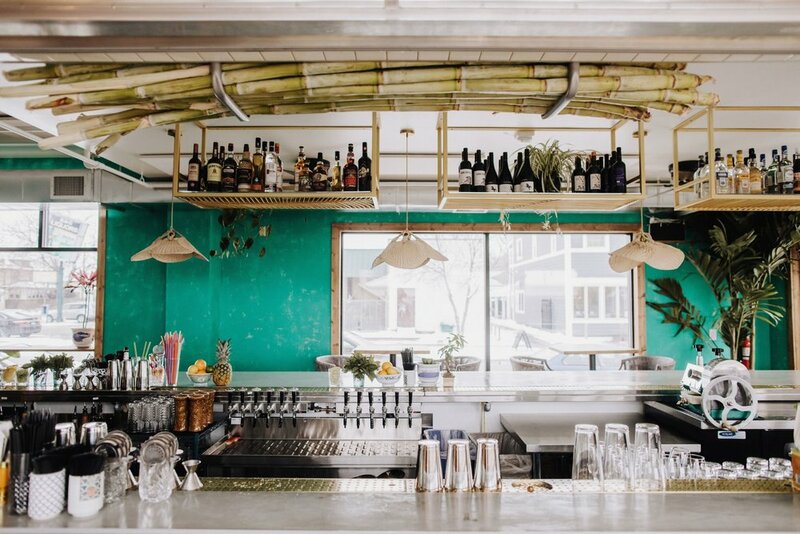 Wilkus Architects was approached by Hai Hai owners to help them design a one-of-a-kind Vietnamese restaurant and bar in N.E. Minneapolis. In December 2017, the team behind the popular Uptown Minneapolis restaurant Hola Arepa opened a new Southeast Asian street food restaurant in the Northeast neighborhood, which they called Hai Hai. Our team at Wilkus Architects started with early design work on Hai Hai in January of 2017, and construction began in July of 2017, wrapping up in late October / early November. This project was carried out by our team at Wilkus Architects, with the help of Kalcon, AST and Boelter Premier, and finished with the creative interior vision of Hai Hai owners Christina Nguyen and Birk Grudem. Wilkus Architects provided design services that helped the restaurant owners achieve their goals for the restaurant. The design includes 3,287 square feet of interior dining and a large bar creating a dynamic atmosphere.The finished space is filled with wooden accents and unique light fixtures, along with lots of lush greenery, creating a tropical and inviting environment.